Simple, everyday classroom activities such as slamming doors, removing books from cupboards and even pinning work to walls can release asbestos, with the most shocking being the fact that if a child kicks a wall or a door frame (something which we all know happens in schools) which is surrounded by asbestos, the level released can be up to 1740x that of background level and that, in a school where asbestos is in good condition, background levels can be anything up to 500x that of the outside air. 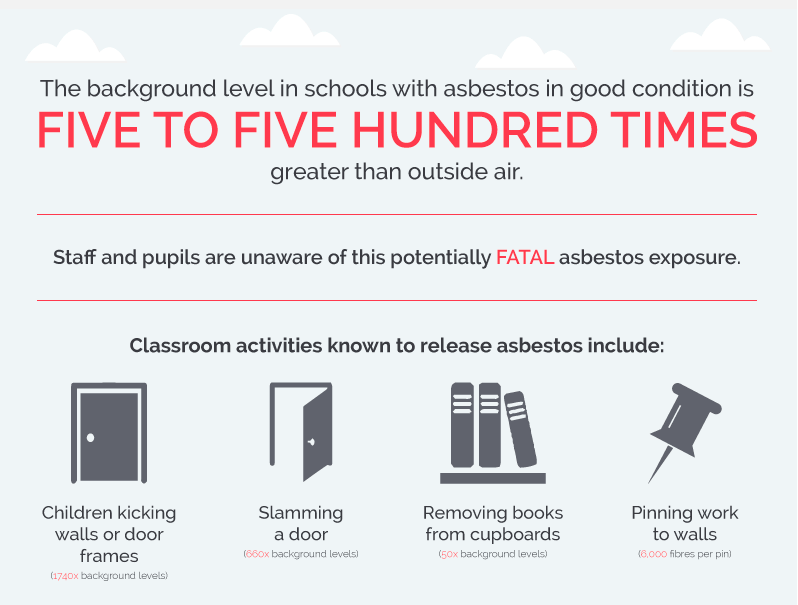 Over the past 10 years, more than 140 UK teachers have passed away from mesothelioma, a deadly form of cancer caused by exposure to asbestos. When you take into account the deaths of caretakers, cleaners and admin staff by the same disease, these figures are far higher. 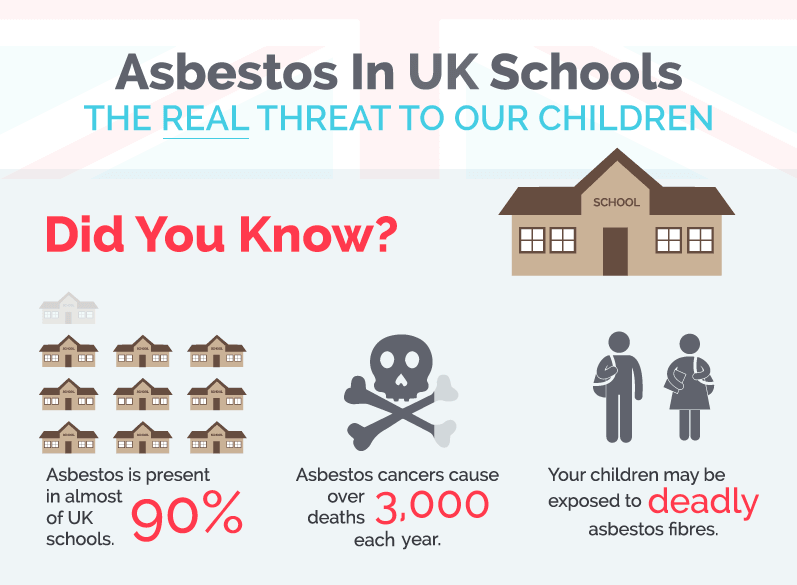 The bottom line is that, whether in the UK, USA or elsewhere in the world, asbestos is still present in the majority of schools, putting our children at significant risk from the deadly diseases associated with the material. Asbestos needs to be removed, not simply managed, and the sooner the powers that be realize this, the better for us all. We would like to thank James Brockbank for submitting this article to Pacific Environmental on behalf of the Asbestos Advice Helpline. The views and content expressed in this publication are strictly the property of James Brockbank and the Asbestos Advice Helpline, and do not necessarily reflect the views of Pacific Environmental Group, LLC.